What do you need to attract subscribers to your channel? That’s right – quality content. To create it, in addition to a video, you need a good sound recording! For all video bloggers recording video clips, the issue of sound arises sharply. Its high quality along with a good picture give half of the success of the footage. Unfortunately, not all video cameras are equipped with high-quality standard microphones. From this we conclude – in order to get around your competitors, in addition to the interestingly recorded video, you need to have still good, high-quality equipment. 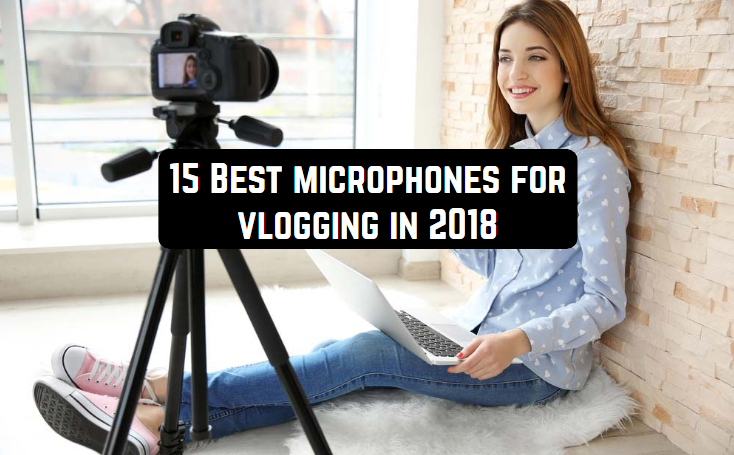 In this article, we’ll look at 15 Best microphones for vlogging in 2018 that will help you record a video blog with great quality sound. A condenser microphone with a switchable directional pattern (cardioid/omnidirectional) looks like a ball for softball, about four inches in diameter. A brilliant chrome casing looks very impressive (white and black case versions are available), however, the size can create problems with the installation, even with a turntable. Output port USB Type B, three switchable diagrams: cardioid, cardioid with 10 dB lowered sensitivity and omnidirectional. The declared format of the output signal is 16 bits, 44.1 kilohertz. The kit includes a desktop rack and switching cables. If you are looking for a modern sound and the size does not bother you, it’s a good microphone. Unconventional design immediately attracts the attention of others, plus the price – just a gift. This model is compatible with many operating systems, including Windows 8, Windows 7, Windows Vista, XP Home Edition or XP Professional, as well as Mac OSX, iPad. 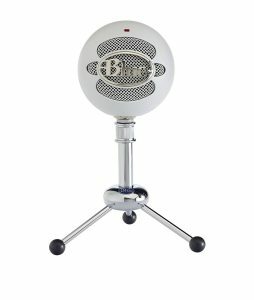 If you need a quality microphone model for working with a PC, choosing the Blue Microphones Snowball, you will not regret your purchase. The device is compatible with Apple products such as iPhone, iPad, iPod Touch. Omnidirectional diagram allows to use the device in almost any situation and turns a smartphone or tablet into a professional recorder or voice recorder. The Saramonic SmartMic microphone connects to a standard 3.5 mm audio jack and is equipped with a rotary unit that allows you to direct the microphone to the desired direction. Low noise levels make this ultra-compact microphone an ideal tool for recording audio tracks of video clips. SmartMic significantly improves sensitivity compared to the built-in microphone. Frequency range: 35Hz – 18kHz. Signal to noise ratio: 72dB SPL. Blue Yeti is the most advanced and versatile multi-directional USB microphone. Blue Microphones Yeti is a high-quality studio microphone with excellent technical characteristics and great features. Blue Yeti mic is a versatile multi-directional model that will allow recording in stereo mode, in three directions, including bi-directional, omnidirectional and cardioid. Its frequency range corresponds to 20-20000 Hz, while the dimensions do not exceed 120x125x295 mm, and the weight is 550 grams. One can not but note the presence of a built-in headphone amplifier, so that it is easy to carry out monitoring with zero delay. Pleasure and comfort controls, including the volume of headphones, if you need instantaneous mute and the ability to adjust the gain, as well as the choice of a directional pattern. And the stylish design of the Blue Yeti mic is another advantage of this model. Directivity: cardioid, bi-directional, omni-directional, stereo. Rated resistance, Ohm: no data. 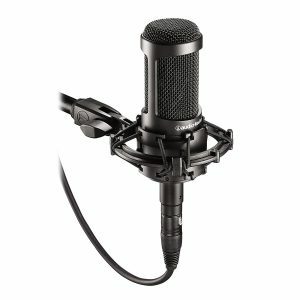 Audio-Technica AT2020 – high-quality microphone. Has an absolutely new corporate design and firm reliability. Audio-Technica AT2020 is especially valuable in that it has all the features inherent in high-quality studio microphones. Ideal for use in home and project studios. The specially designed low-mass diaphragm is created for enhanced frequency and dynamic range response, high dynamics, high sound pressure level and low noise, which makes it indispensable for modern digital equipment. Designed to provide versatility for a variety of studio tasks, the AT2020 has a fixed cardioid directional pattern that isolates the desired signal from extraneous noise. The microphone has a cardioid pattern and a sixteen-bit A/D converter. The model is unpretentious in use, which will also be appreciated by the owners of temporary and mobile studios. Its threaded holder facilitates easy installation, and the reliability of the design will allow the device to serve for many years. Audio-Technica with this model proves that in order to become the owner of a truly cult device that set standards in the production of condenser microphones, there is no necessity to pay a lot. It will become faithful in any favorite business both for the amateur and for the professional. Frequency range: 20 Hz – 16000 Hz. The Zoom H1recorder stands out clearly against the background of similar devices due to its unusual design. Provides a black plastic case with a convenient arrangement of buttons, a compliment in the form of a hinge for hanging, and a backlit display. The menu immediately shows all the necessary functions, which simplifies the operation of the device. The device is charged with AA battery and USB port. The capacity of the charge is enough for 10 hours of active work. This device uses only external memory in the form of a microSD card (2 GB), which is bundled. The Zoom H1 model records in MP3 and WAV formats, which guarantees the high quality of created notes and space saving on the memory card. It is possible to change the sensitivity of the microphone for better quality. This device can also be used as a music player or flash drive. Record of concerts and rehearsals live. Record audio for video (vlogging). Quick recording of ideas for songs. Built-in stereo microphone type X / Y with an angle of 90 degrees. 1/8-inch stereo plug with power supply (2.5V). 1/8-inch line-out / headphone output with separate .volume control. Recording directly to microSD and microSDHC cards up to 32GB. Audio support up to 24-bit / 96 kHz in BWF-compatible WAV format and various MP3 format options. The low-pass filter to eliminate noise and interference. Install directly on the desktop tripod, microphone stand with the MA2 adapter, or on a DSLR with a special HS-1 adapter. It is powered by one AA alkaline battery or rechargeable NiMH battery. Alkaline battery life up to 10 hours. Licensed copies of the software to work with audio in the kit. 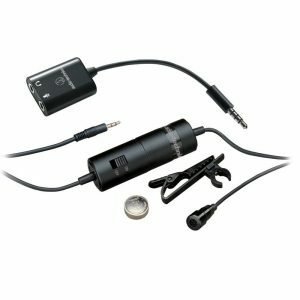 The lavalier omnidirectional microphone with condenser converter Rode SmartLav + is initially designed for use in television, journalists and everywhere, where a compact, invisible and reliable device is required to record voice messages (interviews, vlogging and other) at a high level. The model perceives acoustic vibrations in the frequency range from 60 to 18000 Hz, has a sensitivity of -35 dB, is intended for use with smartphones and tablets based on iOS and Android. The dimensions of the Rode SmartLav + are 9.1 x 9.1 x 9.1 inches. Its approximate weight is 2.08 ounces. A robust long cable is connected to the microphone. The output plug is standard – a 3.5 mm mini jack. In the standard kit, the manufacturer included a clip for reliable attachment to clothing, a windscreen, a practical cover, and instructions. Sensitivity, dB (mV / Pa): -35 dB. Output connector: mini jack 3,5 mm. 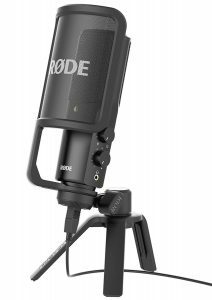 Rode NT-USB is a USB microphone that lets you start recording as soon as you connect it to your computer or iOS device. 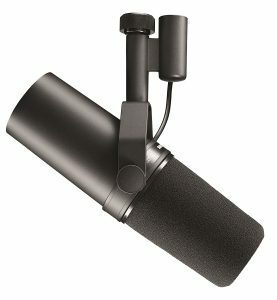 Whether you record vocals, musical instruments, voiceovers or audio podcasts, video podcasts or streams of computer games, this microphone will make sure that the work is done quickly, easily and qualitatively. If you need to monitor the recording in real time without delay, you can connect the headphones to a special input on the microphone itself. Also, there are adjustment knobs that allow you to control the balance of the recorded audio and the input microphone signal. In the kit, you will find a rack-tripod, a microphone attachment, a pop-filter, a USB cable and a dense bag for transportation. 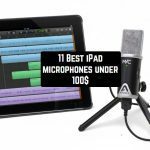 The microphone is compatible with all popular recording applications for Mac OS X, Windows and iOS. USB microphone RODE NT-USB is a versatile recording solution for your portable studio. All that is needed for recording, complete: microphone, stand, mount, pop filter, cable and transport bag. USB connection and built-in AC converter. Headphone output for real-time monitoring. Adjust the level of the recorded audio and microphone input signal. Compatible with Mac OS X, Windows, and iOS. Active electronics: JFET converter with a bipolar output buffer. Analog-to-digital converter: 16 bit, 48 kHz. Location of the diaphragm: lateral (in the plane parallel to the body of the device). Maximum sound pressure level: 110 dB SPL. 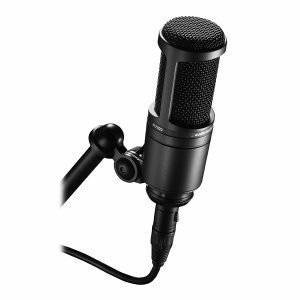 This condenser microphone with a large diaphragm, which allows you to get impressive results in sound recording, and at the same time having a very reasonable price. Here there is a switchable 80Hz highpass filter and a -10dB switch, as well as a suspension and a protective bag. This studio microphone is an excellent choice for both professional studios and live performances. The AT2035 gives you a soft natural sound. It can withstand a high level of sound pressure and is therefore suitable for working with a variety of different sound sources. A special suspension and a soft case are supplied with it. Cutoff of low frequencies: 80 Hz, 12 dB / oct. Sensitivity: -33 dB (25.1 mV). Maximum SPL level: 148 dB SPL, 158 dB SPL with 10 dB attenuation. Signal to noise ratio: 82 dB. Phantom power: 11-52V DC, 3.8mA. SM 7 consists in the microphone park of most of the world’s studios, on radio and television and is generally known as one of the best studio microphones. In fact, today SM 7 is an unofficial industrial standard in the field of sound recording, radio, and television broadcasting. His super-smooth frequency response and unidirectional cardioid earned the love of many professionals when voicing voice and other sound sources -especially when applying voice on radio and television. Being a unidirectional microphone with a soft, silky sound, the SM 7 is great for vocals and other sound sources. The unique switching of the Presence Boost and Low-End Rolloff filters gives four different frequency characteristics. Effective built-in wind protection and fasteners provide easy installation and operation with a microphone in a variety of installations. 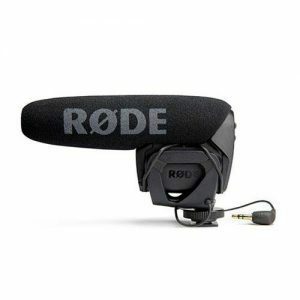 RØDE microphones are one of the most popular on-camera microphones in the world. 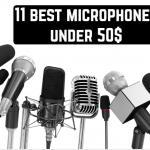 It was surprising that the company from Australia does not produce radio microphones when releasing the widest range of on-camera microphones, guns, vocal microphones and lapel microphones. RODE itself explained this with the complexity of certification and large differences in radio frequency bands in different countries where RODE is active. But with the advent and spread around the world of applications for radio microphones in the frequency range of 2.4GHz, RODE began a completely new direction for itself – radio microphones. The first product was the lapel microphone radio system RØDELink. RØDELink operates in the non-licensed 2.4 GHz band, 128-bit encryption is applied while transmitting the signal, the range of the system is 100 m. The kit includes a lapel microphone with a foam protection and a clothes clip, a RX-CAM camera, a belt- BELT and connecting cable TRS. At the receiver, there is a LED system status indicator, and to establish communication between the transmitter and the receiver it is enough to press one button. There are three levels of amplification, and for the power supply you can use the elements of the size AA or USB interface. The receiver automatically selects one of the two signals transmitted by the transmitter, which dramatically increases the reliability and quality of the transmission. The kit was not in vain called the “RØDELink Filmmaker Kit” because one of its applications is to shoot TV shows and TV movies, when the final sound is recorded right on the set. The supplied LAVALIER microphone has a circular pattern, records sound in the frequency range 60 … 18000 Hz, and the delay in transmitting the signal from the transmitter to the receiver does not exceed 4 ms (this is 5 times shorter than the duration of one TV field). The path of the “transmitter-receiver” pair has a smooth response in the range 35 … 22000 Hz. 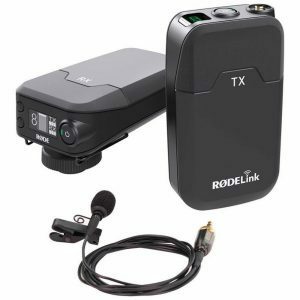 The transmitter can be connected head microphones RODEHS-1 and high-quality lapel microphones RODEPinMic. The receiver measures 111 × 65 × 52 mm and weighs 190 grams, while the transmitter is 12 mm thinner while maintaining the same mass. Digital transmission of Series II, frequency range 2.4 GHz. OLED display (only on the receiver). Powered by 2 x AA or USB batteries. 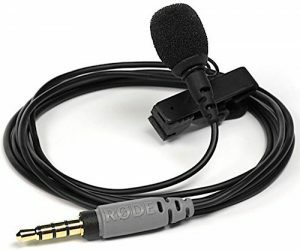 Includes a lapel microphone RØDE Lavalier. Flexible fixed frequency system 2.4 GHz. Frequency range 35 Hz – 22 kHz. Max. output level 1V Rms (2.8v P-p). Max. input signal level 1V Rms (2.8v P-p). 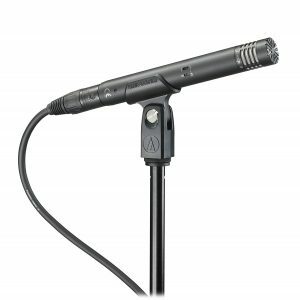 Audio-Technica ATR3350iS Lavalier is an omnidirectional condenser lapel microphone for smartphones. Despite its compact size, it has functions of almost professional audio. The omnidirectional polar diagram provides full audio capture from all sides. Due to the availability of a special adapter, it can be used with iPhone, mobile devices on Android, other mobile devices. 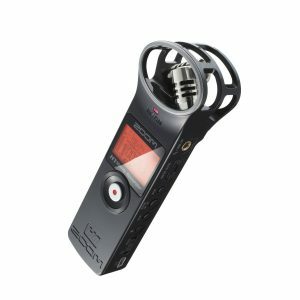 In addition, the microphone is equipped with a 1/8-inch dual mono connector, so it connects to a camcorder, a DSLR camera or a stereo audio recorder (audio recorder) to record sound on the left and right channels. The ATR3350iS Lavalier lapel microphone is successfully used in various kinds and tasks of audio recording: for video shooting, for voice transmission in sports classes, for public lectures and speeches, in interviews, etc. The kit includes a clip, a windproof cap, and a battery. Frequency range: 50 Hz – 18 kHz. Signal to noise ratio: N/A. Connection (connector): Mini-Jack 3.5 mm (1/8 “). VideoMic Pro sets a new level for recording audio for shooting video on mirror and mirrorless cameras. 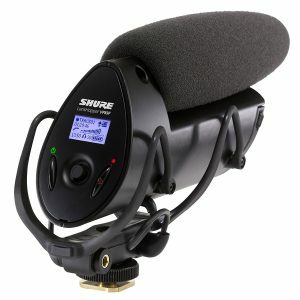 This is a directional microphone for shooting events, news shooting, and other types of shooting “on the go.” The super cardioid orientation allows you to cut off lateral noise, and a low level of intrinsic noise provides a transparent sound, even for quiet speech and similar sound sources. The main innovations: powered by its own lithium-ion battery, 2 AA batteries or by Micro USB; automatic shut-off when disconnected from the camera, “safety” recording with low sensitivity (-10 dB) on the second channel – sudden loud noises will not take you by surprise. A two-stage low-pass filter (75 Hz, 150 Hz) cuts off low-frequency drone from traffic or from air conditioners. Three-level amplifier of the recording level (Gain): -10, 0 and + 20dB. The proprietary gain of +20 dB allows you to turn off the camera’s internal amplifier (many cameras have built-in low-quality amplifiers), or instantly amplify the sound when switching from a nearby subject to a distant one. High-Frequency Boost. As can be seen from the frequency response curve, VideoMic Pro Plus always slightly amplifies frequencies in the range of approximately 3 to 6 kHz (yellow line), which is made to improve speech clarity. By turning on High Frequency Boost, you further amplify the high frequencies by about 5 dB (blue line). Most relevant when using fur wind protection. “Safety Channel”: Like most cannons, VideoMic Pro Plus records sound in mono, which is enough for 1 channel. You can, as usual, record the same sound on both channels, or enable the “Safety channel” function: the left channel will record normally, with the right channel recording at -10 dB. This will require a simple additional processing of sound when editing, but you can always avoid the effect of overloading when loud sounds suddenly appear. The frequency range is 20 Hz to 20 kHz. Low-pass filter: yes, 80 Hz. Maximum sound pressure (SPL): 133 dB. Equivalent noise level: 14 dB-A. Power: Lithium-ion battery LB-1, 2 AA batteries or USB permanent. Microphone with a fixed mount. The difference between the VP83F and VP83 is in the built-in flash-recording function. It is designed to work with sound with DSLR-cameras and HD-camcorders. Control with the intuitive menu, 5-way joystick, LCD display with backlight. Built-in high pass filter. Adjust the sensitivity of the microphone. All-metal housing with RF interference protection. The kit includes 2 AA alkaline batteries that provide 10 hours of operation, a removable 3.5 mm audio jack and a sponge wind deflector. High definition and detailed recording of sound with dense low frequency. The ability to record digital flash media (MicroSDHC card up to 32 GB), support WAV format 24 bit / 48 kHz. The convenient location of the record start button. Output connector for audio, real-time monitoring. Built-in shock absorber Rycote® Lyre® for vibration isolation. Frequency range: 50 Hz – 20000 Hz. Output impedance: 47 camera, 5 headphones Om. Signal to noise ratio: 78.4 dB. Own noise of 15.6 dB. The maximum sound pressure is 129.2 dB. The sensitivity (1 kHz) is 0 dB -35.8 dBV / Pa (16.2 mV), +30 dB -5.8 dBV / Pa (512.9 mV). Power: 2 batteries AA – alkaline, nickel-metal hydride (NiMH), lithium. The studio microphone AT4053B is a universal modular microphone that can be used for a wide range of tasks. Applying a balanced output to obtain an unblemished signal in terms of the highest sound pressure, this microphone certainly does not distinguish distortions typical of simple microphones with a transformer circuit. The highest dynamics of the microphone allows you to get a sincere, cloudless sound in the most difficult sound conditions. The microphone is made from two modular instruments: a casing and a condenser capsule with a hypercardioid diagram direction. Max. Sound pressure level: 145 dB, 155 dB (with 10 dB attenuation). Signal to noise ratio: 78 dB. Cut-off of low frequencies: 80 Hz, 12 dB/octave. Power supply: phantom, 48V, 4.8mA. Output connector: built-in 3-pin XLRM. Accessories: rack mount, windshield, protective cover. Microphone condenser cardioid direction. Due to the fact that the body of the microphone is painted black, the fingerprints will remain invisible. With the MK-012 you are guaranteed high quality recording at any distance, including the fact that there is no transformer in the preamplifier circuit, and the microphone itself is characterized by a low level of its own noise. Octava MK-012 guarantees the highest quality o the recording, both in the professional studio and in the home, the recording of sound anywhere (studio, theater or concert hall) and at any distance (close or remote location of the source of sound) will be of high quality . 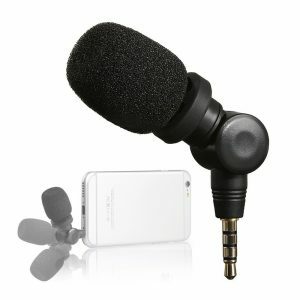 Universal microphone (can be used in home and professional recording studios. Sound recording of almost all musical instruments performing solo or as part of an orchestra, both in the studio and at a concert. Recording and sound transmission in television studios and on radio. Recording, sounding and sound transmission of theatrical productions and concerts. Recording and sound recording of activities in religious buildings. Subscription and sounding of various events. The cardioid directional capsule is indispensable when recording the front-located main sound source with finding the main noise source on the back side. 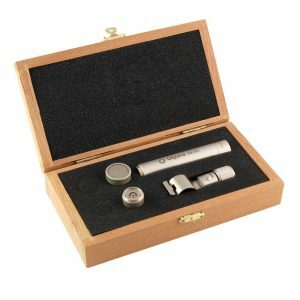 Microphone MK-012 black, supplied in a wooden case FDM2-04. The package includes a cardioid focus, attenuator “-10 dB” and a preamplifier. The sensitivity of the microphone on the free field at a frequency of 1000 Hz, not less than 10 mV/Pa. The equivalent sound pressure level, due to its own noise (curve A), is not more than 18 dB. The module of total electrical resistance, no more than 150 Ohm. The recommended input impedance of the amplifier, not less than 1000 Ohm. The level of the ultimate sound pressure in the range 250-8000 Hz (with attenuator), not less than 140 dB. Power supply (phantom) 48 ± 2 V.
Temperature range: -10 / + 35 ° С.